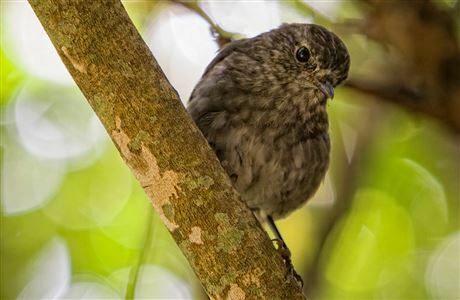 Get up close and personal with rare birds such as kākā, kōkako, takahē and hihi. Wander tracks fringed with dense forest or climb the 521 m peak for panoramic views. Check, clean, and seal your gear to ensure you don't bring pests, soil, and seeds. 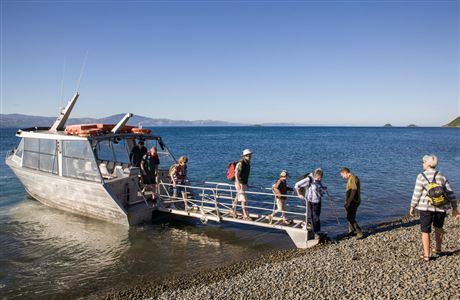 Approved commercial tour operators (click 'commercial operators' above) provide transport and tours of Kapiti Island. The island is a popular destination all year round so bookings for the popular summer season need to be made in advance. Private boats, kayaks, jet-skis, paddleboards, swimmers and any other form of private vessel must not land at Kapiti Island Nature Reserve. No one can land on the island without a permit. Boats depart from the Kapiti Boating Club at 1 Manly Road, Paraparaumu Beach. This is about a one hour drive north of Wellington. To get there from the Paraparaumu traffic lights, turn into Kapiti Road and continue to the beach. The Boating Club is at the end of Kapiti Road. Visitors to Kapiti Island can park at the Kapiti Boating Club or in the carpark across the stream from the club. Trips to the island are weather dependent. Contact the tourism provider on the morning of your trip for a weather check and to confirm the departure time. Your own lunch and drinking water. Warm clothing and a waterproof jacket as weather can change quickly. A shelter and toilets are available on the Island. After landing, go to the public shelter to listen to the introductory talk. This will explain conditions of entry and safety on the island, as well as information about flora, fauna, and human history. 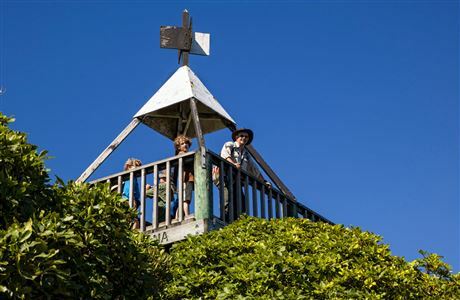 Ensure that your belongings are placed out of reach of weka and kaka. They are very inquisitive and expert at getting into bags. Be ready to leave the island at the departure time announced by your boat skipper. Overnight stays are not permitted within the nature reserve on the island. Some of the island is in private ownership. 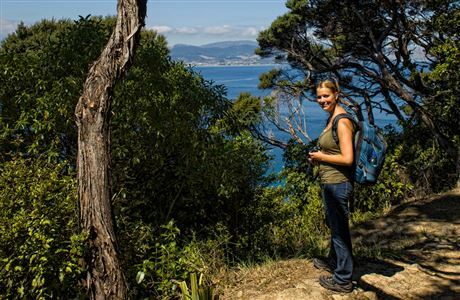 On this land Kapiti Island Nature Tours offers a homestay option for visitors. All fires, including barbecues and cooking stoves, are not allowed. Smoking is strictly prohibited at all times. Everything on the island is protected, and nothing may be removed - including plant material, insects, lizards, birds, feathers and shells. Do not feed birds and other wildlife. Remove all your rubbish from the island. Carry out what you carry in. Do not take pets to Kapiti Island. School groups on educational visits are eligible for discounts. Ask your tourism provider for more information. Bags will be inspected and unpacked before boarding the boat. Speed up this process by checking and cleaning your gear before you arrive at the boat. Ensure that your clothing, footwear and luggage is free of pests and plant material including seeds and foliage. Once checked, keep your bags tightly closed and keep food supplies in sealed containers. A concession is required to fly a drone on any public conservation land - see Recreational drone use and Commercial drone use for more information. Kapiti Marine Reserve is popular for its abundant sea life including blue moki, kingfish, seals and dolphins. It's also home for some top dive spots include the Hole-in-the-Wall underwater archway. From albatrosses to yellowheads, learn more about some of New Zealand's native birds. Recently a DOC and volunteer team of three spent a weekend on Kapiti Island to help restore the weathered whaling try pots displayed at Rangatira Point.